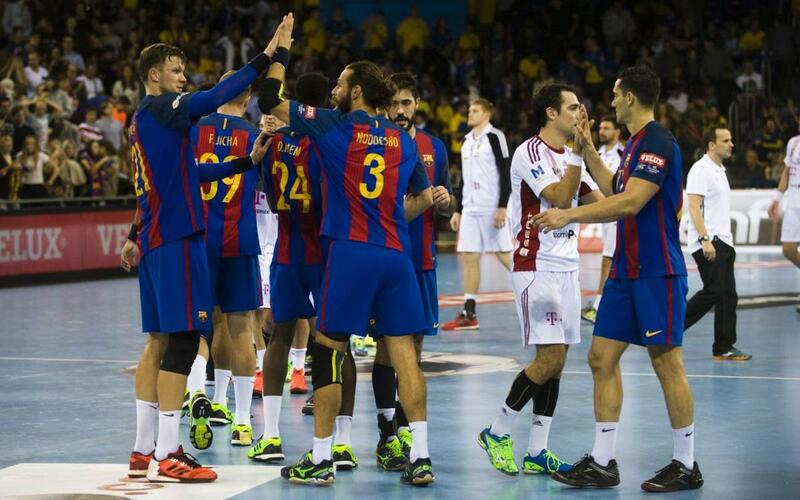 Two months after the Velux EHF Champions League took a break for the World Championship, Barça Lassa have continued their stunning form where they left off. The trip to the home of last season’s European runners-up was always going to be a stiff challenge, but Xavi Pascual and his players thrive on that kind of pressure. With Ristovski stunning, Barça took the Veszprém Arena by storm – the home of a side that has only been beaten at home once this season, and by a solitary point to PSG. That’s the fourth game in a row that the Catalans have won against the Hungarians, after they won the fixture at the Palau earlier this same season 26-23. All eleven of the international that competed at the Worlds in France were involved, although there was plenty of rotation to limit tiredness. The win leaves Barça Lassa top of their group with 18 points. With four games left, they’re on fine course to top the group and bag one of the direct berths into the quarter finals. Next up is a trip to Switzerland to face Kadetten on Thursday 16 February.